The refreshing blend of orange oil is deep cleansing and deliciously fragrant. The original vegetable soap from Faith in Nature, this deep cleansing orange soap has a low pH to gentle cleanse and tone your skin, without drying it out. 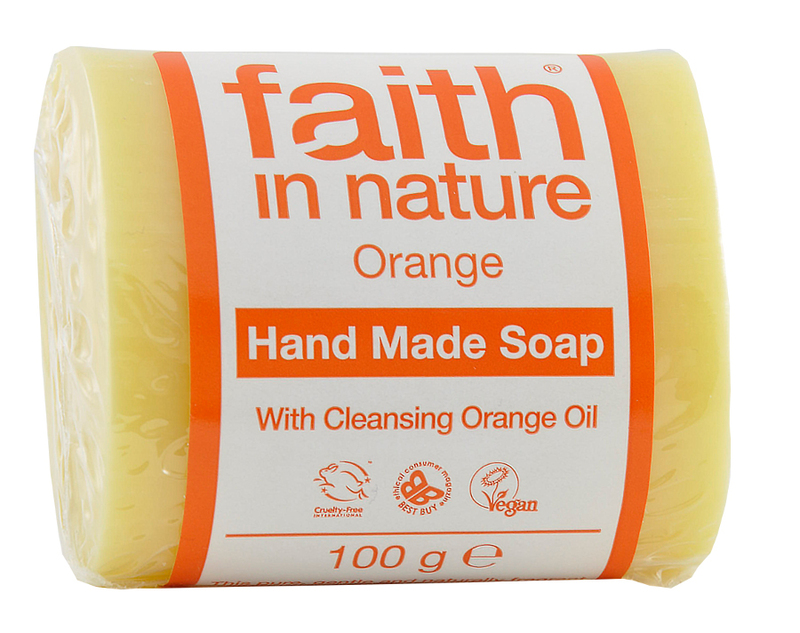 The Faith in Nature Soap - Orange - 100g product ethics are indicated below. To learn more about these product ethics and to see related products, follow the links below. This one smells yummy. I put them in a basket and they scent the bathroom. I much prefer soap bars to shower gel as somehow I feel cleaner. This soap is very nicely, but not too strongly scented. The bar is not over soft and therefore lasts well too. The scent lasts throughout the life of the soap. I want to be this fragrance! 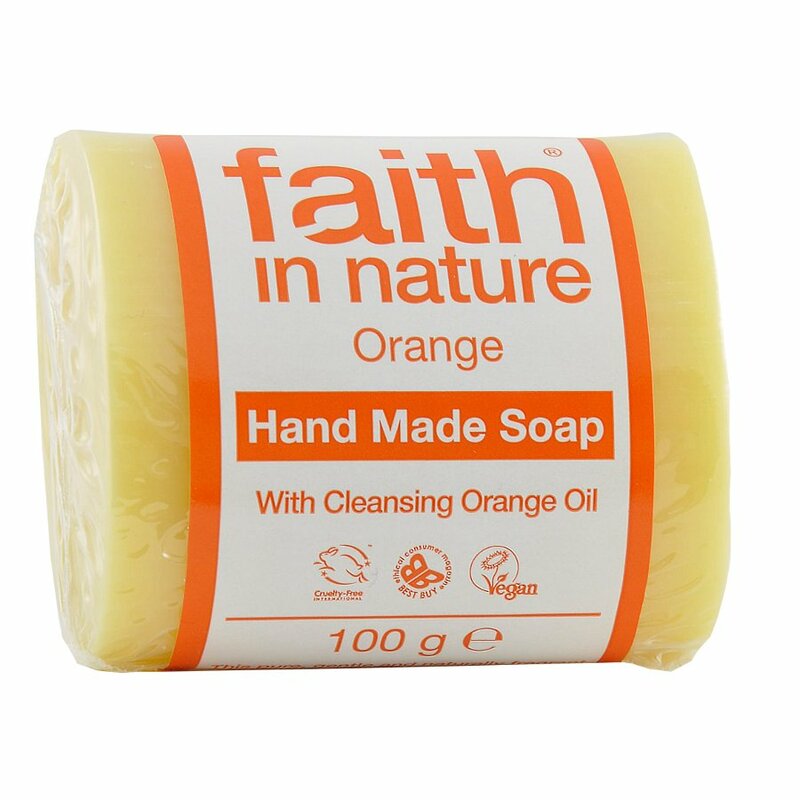 There are currently no questions to display about Faith in Nature Soap - Orange - 100g.